Habitat for Humanity Canada’s vision, mission and values are delivered by Habitat for Humanity affiliates that work in over 300 communities across Canada. Habitat for Humanity Canada affiliates select and prepare partner families for homeownership, manage the construction of Habitat homes, and hold partner family mortgages. They play a vital role at the local level by engaging community volunteers, securing resources, increasing the profile of Habitat for Humanity and raising awareness about the issue of affordable homeownership in their communities. 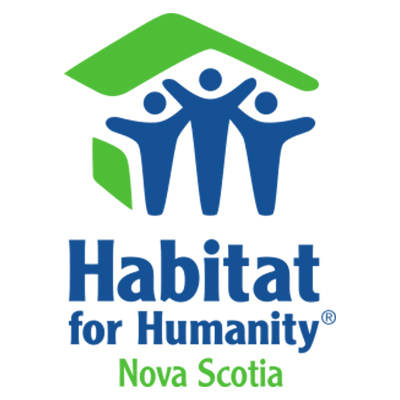 In Nova Scotia Habitat for Humanity provides Affordable homeownership opportunities for low income working Nova Scotia families. With the help of volunteer builders, sponsor money and donor materials we construct energy efficient affordable homes for purchase by low income families. It is part of our mandate to provide educational opportunities on home maintenance and budgeting for homeownership.